Firstly, Beyond Flesh and Blood is not a sequel to Beyond Two Souls – so fans of a shiny faced virtual Ellen Page go and cry on the shoulder of your invisible psychic projection bessie messie. In fact, it’s a game set in a post-apocalyptic Manchester, pretty much the same as regular Manchester then… Oh come on, you know I’m joking – this is what gonna happen if you give a northern game to a southerner! Honestly though, ‘up north’ is a wonderful place! I even have family who have had to travel through there, and they even made it out alive and everything! Pixel Bomb is based in Manchester, a city they love so much they decided to make a faithful digital representation of it in the Unreal engine, and then blow it up. 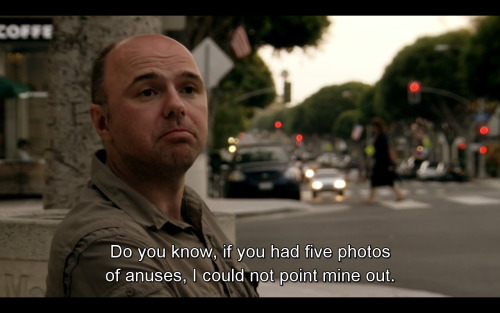 Whenever I think of Manchester, I think of Karl Pilkington. If you haven’t heard of him, then watch any clip of him on YouTube. In my favorite Karl clip, Karl comes up with his idea for a movie, which Steve Merchant points out how ridiculous his idea for a movie where an aspiring actor is involved with an accident and then gets his brain put in the body of Tom Cruise. The unknown Bryan, in Karl’s Head, should be played by Ted Danson. So, in the end, Ted Danson plays Brian, who becomes Tom Cruise who is playing Ethan Hunt in Mission Impossible 8. Anyway, I digress! In Beyond Flesh and Blood, you play… what’s this? Another Ethan? Ethan controls a mech, who controls an engineering mech in post-apocalyptic Manchester except when you randomly fall through floorboards and end up in a flashback to five years earlier, when you are involved in a war – also in Manchester. Oh yes, the actual fighting and shooting part of the game is a flashback, the real narrative involves you moving crates (the second to crate counter is quick in this game), setting up army barracks and then going through Manchester and setting up cellphone towers so you can pilot your mech, sorry ‘frame’, because mech doesn’t sound futuristic enough. The backstory is that your father was in the ear, and you are now a factory worker by proxy, you are up in your swanky space station but still basically performing the tasks of a ‘lacky’. Your boss, Javinder, (I think that’s his name) tells you what to do, although he could just as easily be doing it himself. His boring monotone, (where is the mute button on my remote) does little to distract the two frames of animation his talking head has, giving the game an accidental retro game feel by making all the characters who talk look like Slippy Toad from StarFox, though somehow more annoying then Slippy Toad… How is that possible??! Later on in the game, you do get to merge your cell tower construction work with some action by killing the wounded dogs and poor people who were left on the planet’s surface so you can protect the space corporations shiny new transmission tower. Yep, that’s right, you get to shoot the local riff raff! Finally. It does feel a little like you are on the wrong side of the fight in this game, you get a fancy mech that has the ability to dash, ground pound, fire lasers and hack into surrounding technology while you fight dogs and people with pointy sticks. There is even a combo system, so you get bonus points for killing them as quickly as possible in a variety of different ways. As well as the powers your regular frame has, you get different mech suits for your mech, turrets you can hack into, environmental hazards you can control to your advantage and crates that you can throw at poor rebels dying slowly of radiation poisoning for fun. If the rebels have the temerity to actually destroy your mech suit, no worry, another of the endless supply of mech suits lands from space for you to start crushing their hopes once again. It sounds that I am against this game. I am not. I like killing the homeless and poor people from Manchester as much as the next person. Pixel Bomb are a small independent studio, who have made a very solid game. Although the aiming can be a bit twitchy, and there are annoying things like a head shot taking off ninety percent of a enemy’s health, only for them to duck down just long enough for the combo meter to tick down before you can shoot them again, it’s a very solid shooter. If you get close, there are a number of Doom Style ‘glory kill’ animations, but they can’t quite live up to the AAA sheen of Id’s shooter. There are a wide number of ways to take down the enemy, but the combo system seems a little bit weird, as the enemies spawn far away enough from each other that there seems to be no easy way to keep the combo going. There also don’t really seem to be that many rewards for having a high score either. There is a five star rating system at the end of each level, but there isn’t the Bayonetta style drive to get an S rank at the end of each stage. The problem with the game isn’t really the gameplay or the graphics, it’s just that the game doesn’t really seem to know what it’s meant to be. In some of the later levels, the game brings in some tower defence elements to protect the towers. Why? It doesn’t really add to the fun of things when you are looking like you will get a good combo up just to run over to the other side of the map to hack a turret one more time. Pixel Bombs use of the Manchester setting is great, and there is obviously a great deal of talent within the company. I just get the sense that the game would have been better if they had limited their scope. If this had been more like an Earth Defence Force style game set in Manchester rather than the overused cities of New York (or a fictional New York stand in) it could have been great. Or even taking the mechs piloting mechs idea and pushing that to its full potential, in the same great setting. It just seems that there are too many ingredients to the stew. OK, beef stew can be dull, but it can be tasty. Beef, marshmallow, peri-peri and mint stew is something that can be improved by leaving out the mashmallows, peri-peri and mint. So should you buy the game? Yes. It’s good enough – it just feels that with a little more focus it could have been even better. You should also buy it to support a young studio that clearly has a lot of talent. If you buy it, they should stay in business – which will be a good thing, as I would love to see what they will do next. If it is a virtual Karl Pilkington simulation, then they have my money already. Taboo: Can you guess it?